The debate between convection ovens and conventional ovens has been waged since they’ve been in existence. While some people believe conventional ovens are the way to go, there are others who claim that convection ovens are better. When it comes down to, is how each one works, and whether it’s better for cooking different foods. Their operations are different, and they both provide enough heat to your food. So, if they are similar, work the same, and produce similar results, which one is better? Understanding the differences between convection and conventional ovens is crucial to finding out which is better. Convection ovens have fans that allow the hot air in the oven to circulate. The fan allows the air inside the oven to cook your food thoroughly. They work quickly to heat your food up. The air currents allow your food to cook evenly, producing excellent results. The costs of convection ovens vary depending on capacity, function, power and technology. 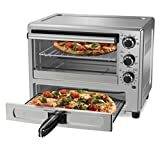 A convection oven with steam feature such as Cuisinart Steam & Convection Oven can cost around $250-$300 whereas a good small oven that can heat up to 4 slices of pizza can cost less than $100. Check out our best convection oven reviews. Conventional ovens surround food with hot air, without any circulation. Since the hot air in a conventional oven doesn’t circulate, this can lead to uneven results with food. Some parts may get burned, while other parts take longer to cook. The longer cooking time is a huge setback for conventional ovens. Even though they’re both ovens, and can work at high temperatures, there are a few key differences between them. The circulation of air keeps meats and other foods juicy, without burning parts of the food. Different foods may require you to use one over the other, but for the most part, they provide excellent results for any home cook. Now we will look at pros and cons between convection oven and conventional oven. One of the key benefits of a convection oven is that it heats the food up rapidly, allowing you to enjoy a meal in less time it takes to cook in a conventional oven. 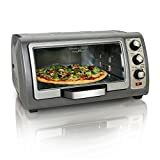 This is ideal for those that need an oven that works quickly for any meal. If you don’t have a lot of time to spare, a convection oven is the way to go. Since convection ovens rotate the air inside the oven, you can cook more than one food item inside. If you’re planning on cooking a turkey and potatoes or other veggies at the same time, you can put them in at the same time. As long as there is excellent air circulation, every food should cook evenly and thoroughly. This makes it ideal for huge family dinners where plenty of people show up for dinner. A convection works quickly, which means you can set the temperature lower for a convection oven than you can for a conventional oven. You need to reduce the temperature of a standard recipe by 25 degrees if using a convection oven. Lowering the temperature allows the food to cook thoroughly, but at a faster pace. It’s perfect for setting up multiple foods inside the oven. When you have two different foods with different serving temperatures, it allows the shorter items to cook at the same time. It’s ideal for those needing everything to be served at once, rather than waiting for everything at the same time. Related: How do you bake in a convection oven? While convection ovens do work well for most food items, the types of containers the food is in can make it difficult for food to cook. High-sided containers or a covered dish can prevent the air from circulating properly, and leaving behind some cold spots in the food. Using a low sided container that is open would work better inside a convection oven. Anything baked, like cakes and muffins aren’t good for convection ovens. The circulating air prevents your baked goods from rising up when they’re cooking. More people would prefer to use a conventional oven for their baked goods. If you want the fluffy appeal to your cake or muffin, a conventional oven is ideal. The cost of a convection oven can be steep. They are easily double what a conventional oven costs, which can eat into anyone’s budget. The good news is a price of a convection oven can start from lower than $100 to more than $1000 so you can easily find the right convection oven for your budget. 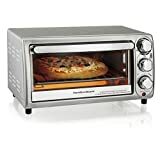 You can get Hamilton Beach 31103A convection oven for less than $100. It is the best Valuable Oven with Convection and Rotisserie. 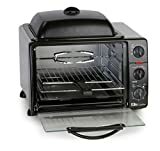 If you are looking for pre-set cooking functions and willing to pay more, Cuisinart TOB-200 convection oven is recommended because it provides Convection Toaster Oven with 12 functions including rotisserie. 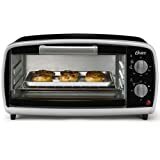 Cuisinart Steam and Convection Oven is excellent for you if you are looking for an oven with steam functions. When it comes to cooking, you want to use the right tools. While convection and conventional ovens are similar, their differences can affect the food’s quality. The benefits of convection ovens are quick, easy to use, and provide even heat throughout the cooking process. One of the biggest drawbacks for a convection oven is the price tag, and they don’t do well with baked goods. Depending on your cooking habits, you may want to explore a little bit and see which one would fit your needs better. You can’t go wrong with either choice, and they have their benefits and their drawbacks.